The man had previously been sentenced to life in prison for the murder – but had that conviction quashed. A JURY HAS failed to reach a verdict in the trial of Kilkenny man charged with murdering his nephew’s friend with a butcher’s knife before continuing to drink at a party in his seaside home. He had previously been sentenced to life in prison for murdering him but had that conviction quashed. 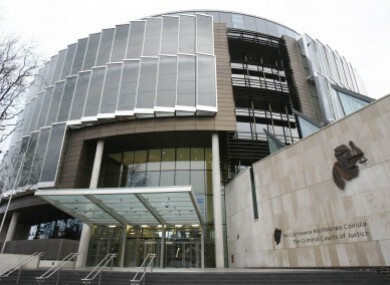 The six men and six women had been deliberating at the Central Criminal Court since Wednesday on whether Tadhg Butler had murdered fellow Kilkenny man Michael O’Dwyer on 10 January 2014. The 25-year-old died in hospital, hours after receiving a stab wound to his chest at a party in Butler’s Co Waterford home. Butler, 37, with an address at Seafield in Tramore, had pleaded not guilty. Previously known as Thomas O’Grady, the father of five told his trial that he accidentally stabbed O’Dwyer while taking a knife from his nephew to prevent him self-harming. That nephew, Anthony (Tony) O’Grady, contacted gardaí later on the day of the killing to say that Butler had walked over and stabbed his friend with a butcher’s knife as they sat and chatted. However, when called to the witness box, he said he couldn’t remember anything, partly due to his personality disorders and five daily medications. The trial heard that the two friends had been drinking in Kilkenny with another man that day, but had taken a taxi to Butler’s house in Tramore that evening, after being invited. They continued to drink with him, while listening to music. O’Grady told gardaí that he and his uncle had argued at one stage. “He was telling me not to disrespect my mother,” he recalled in his statement. He said that they had almost come to blows, but that his uncle had put his arms around him and told him that he didn’t want to fight; he was his nephew and he loved him. O’Grady said that he had been sitting on the stairs later, upset about the passing of his brother, Mark, a few years earlier. He said the deceased had come to see if he was alright, sat down beside him and put his arm around him. “As we were talking, Thomas O’Grady walked out of the kitchen, he walked up to us and at the last second, I saw him lift a butcher knife from beside his leg and stab Michael into the chest,” he said. Michael collapsed forward straight away. Thomas walked back to the sitting room and started drinking. Thomas never said a word. O’Grady described the knife as the biggest knife in a set. “I’d say the blade was a foot long. I saw it when Thomas pulled it out of Michael’s chest. It was covered in blood,” he said. “This all happened in the blink of an eye. I said: ‘What are you doing Thomas, man?’ Thomas said nothing and walked away. His uncle was charged with murder and went on trial last week. O’Grady was called to give evidence, but told the court that he couldn’t remember anything. He explained that he was an addict, had psychiatric problems and had been ‘sectioned’ several times. He agreed that the accused had previously disarmed him to prevent him self-harming with sharp implements and “it could be a high possibility” that this is what had happened on that night too. When asked by the defence why he had given the gardaí a different version of events, he said he didn’t know and that he was a mentally-ill drug addict. “I was only out of a mental hospital a week before,” he added. He also agreed that it could be possible that he couldn’t bear to accept responsibility for having the knife, and that he was furious with his uncle for what had happened to his friend. Butler testified in his defence, giving the same story of the night up until the point of the knife’s arrival. He said that his nephew had got it from the kitchen, held it up and said: “I’m sick of this f*cking life.” He said that he had accidentally stabbed O’Dwyer, while trying to disarm his nephew. Dennis Vaughan Buckley SC, prosecuting, asked why he had not given the gardaí this account during interview. The accused said that his nephew would have been questioned and “this would have brought an awful lot of hassle to my sister’s doorstep”. She had already lost her only other child, Mark, to a drug overdose. Michael Bowman SC, defending, asked the six men and six women of the jury for an acquittal, describing what had happened as a tragic accident. He also explained that there was an option of finding him guilty of manslaughter, rather than murder, if they found that he should have been paying more attention when disarming his nephew and that his actions were reckless. Buckley, however, re-read O’Grady’s statement and said that there was ample evidence to find the accused guilty. Following six hours of deliberations, the jury failed to reach any verdict and officially disagreed. It was the fourth jury to be put in charge of the case. The first jury was discharged due to a legal issue one day into Butler’s trial in April 2015. A second jury found him guilty a few weeks later and he received the mandatory life sentence. He had not given the account of his nephew’s threatened self harm on that occasion, until he dismissed his legal team towards the end of the trial. He then recalled his nephew and put that scenario to him. Tony O’Grady said that such a scuffle could have happened but that he could not remember. Butler then gave his own closing speech, telling the jury that he had not initially “told it like it was” because he hadn’t wanted his sister to suffer any more. This formed the basis for his successful appeal to have his conviction quashed. The Court of Appeal ruled that Butler did not understand that in order for the jury to consider his version of events, it was necessary to hear it as sworn evidence. Mr Justice Paul Butler discharged today’s jury, noting that the members had worked hard, and he exempted them from jury service for 10 years. He then remanded the accused in custody until 8 May, when his case will be mentioned before Mr Justice Patrick McCarthy. Email “Jury fails to reach verdict in case of man accused of murdering nephew’s friend with a butcher’s knife”. Feedback on “Jury fails to reach verdict in case of man accused of murdering nephew’s friend with a butcher’s knife”.